Way back when I was a young bourbon-lad, transitioning from a bourbon drinker to a bourbon geek, Chuck Cowdery's The Bourbon Country Reader was the first whiskey publication I subscribed to. Over the years, I subscribed to other whiskey publications, Whiskey Advocate, The Bourbon Review and others. But one-by-one I let those subscriptions lapse. Sometimes it was because I didn't find anything between the pages that I found valuable enough to pay for. Sometimes it was due to lack of time or interest on my part. The one publication subscription I've never let lapse is The Bourbon Country Reader. The content is well-written, well-researched and isn't available anywhere else. Chuck knows bourbon and though he has his opinions, that's part of the draw. The subscription, being about the price of a cheap-ish bottle of bourbon, is inexpensive at $20 for six issues. These appear roughly 4-6 times per year but your subscription is issue based, not time based. They appear frequently enough that they become part of your routine and not something that you've forgotten that you subscribed to by the time the next issue arrives. And in what might seem a paradoxical statement I like that it is short. It is 4 pages long with three to four articles per issue. I can get through it in one sitting. There is no filler. 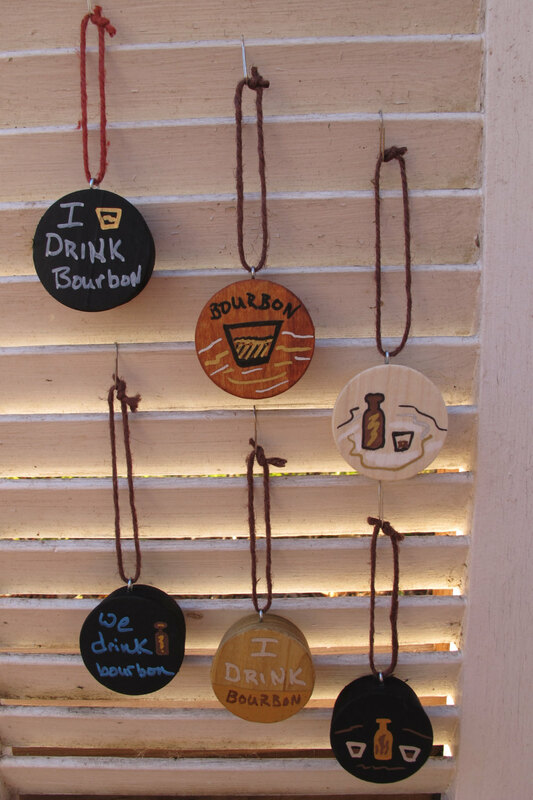 If you are reading bourbon blogs, you are probably reading Chuck Cowdery's blog. If you read bourbon books, you might have read his books: Bourbon, Straight and Bourbon, Strange among others. 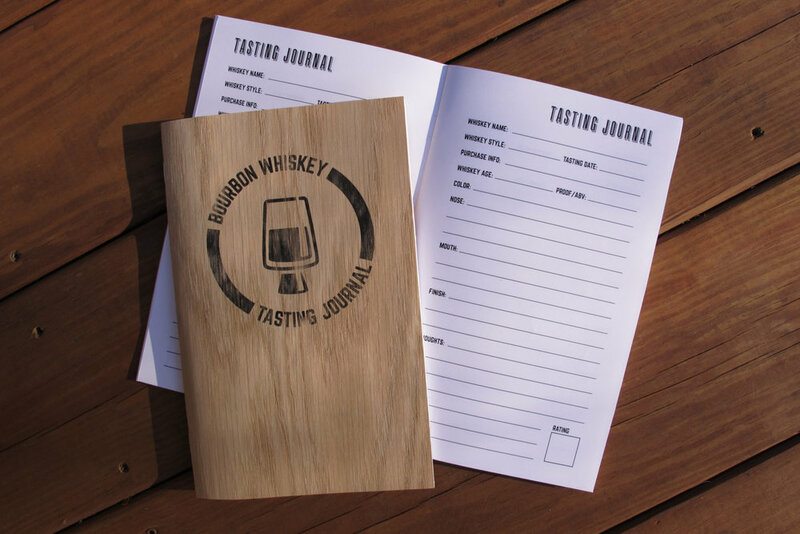 But if you read only one bourbon publication, it should be The Bourbon Country Reader. Go to Chuck's blog to subscribe. Tonight I finally get around to presenting the If You’ve Had… that inspired the whole idea, Heaven Hill’s line of bonded bourbons. Heaven Hill has a lot of bourbons in their bonded stable. I believe I got all of the readily available ones (even if only in Kentucky). But in any case, there are enough that these were compared to one another over the course of a few days. As a refresher, the setup is like this: "If you've had Whiskey A then Whiskey B is..." hotter, spicier, sweeter, more floral, etc. Each section is written as compared to one of the whiskeys. So if you've had that one, but not the others then that section will be of the most use to you. Remember there are no value judgments here. You get to decide based on what you know of Whiskey A if Whiskey B sounds like something you'd want to try. Up tonight are the ones I had on hand, or could buy locally, including: Evan Williams Bottled in Bond, JTS Brown Bottled in Bond, JW Dant Bottled in Bond, Heaven Hill (6 year old) Bottled in Bond, Old Fitzgerald (wheated) Bottled in Bond and Henry McKenna (10 year old, single barrel) Bottled in Bond. Your mileage may vary on that last one being a single barrel product. JTS Brown is: more grain forward on the nose, mouth and finish. The finish is more bitter. JW Dant is: more caramel forward on the nose. It shows more caramel and floral notes in the mouth and the finish is more tannic. Heaven Hill 6 year Bottled in Bond is: fruitier on the nose. It’s sweeter, warmer and more complex in the mouth. And has a longer and warmer finish. Old Fitzgerald Bottled in Bond is: more floral on the nose. It is softer and sweeter on entry, but hotter and rougher on the finish. Henry McKenna 10 year Bottled in Bond is: hotter and shows more oak on the nose. It is sweeter, hotter, fruitier and shows more oak in the mouth and has more oak on the finish. Evan Williams Bottled in Bond is: oakier on the nose. It’s breadier and sweeter, showing more vanilla and caramel in the mouth and shows more oak on the finish. JW Dant is: very caramel forward by comparison. It is sweeter, more caramel/toffee forward and hotter in the mouth. Old Fitzgerald Bottled in Bond is: softer and more flavorful on entry, transitioning to a hotter and sweeter experience as it moves back. It has a much longer and warmer finish. Henry McKenna 10 year Bottled in Bond is: Spicier and fruitier on the nose. Sweeter and spicier in the mouth with a warmer finish. JTS Brown is: much more grain forward on the nose. More vegetal and grain forward, showing more ethanol on both the mouth and finish. Evan Williams Bottled in Bond is: very similar on the nose. It shows more mint and baking spice in the mouth and has a shorter finish. JW Dant is: sweeter on the nose. It shows more butterscotch pudding and baking spice in the mouth and has a more tannic finish. Old Fitzgerald Bottled in Bond is: sweeter in the nose. It shows more mint and is more grain forward on the mouth. The finish is much hotter. Henry McKenna 10 year Bottled in Bond is: sweeter and a little more complex on the nose, showing more oak. It’s hotter with more oak flavors in the mouth and is hotter and longer on the finish. JTS Brown is: more vegetal and rougher on both the mouth and finish. Evan Williams Bottled in Bond is: less sweet on the nose. It’s maltier and shows more baking spices in the mouth. It’s less tannic on the finish. Heaven Hill 6 year Bottled in Bond is: sweeter and fruitier with more caramel and oak in the mouth with a less tannic finish. Old Fitzgerald Bottled in Bond is: softer and sweeter on the nose. It is softer and less flavorful in the mouth and more vegetal on the finish. Henry McKenna 10 year Bottled in Bond is: spicier and less sweet on the nose. Sweeter in the mouth and shows more oak. It’s hotter and oakier on the finish. JTS Brown is: mintier, showing less caramel on the nose. It’s hotter and rougher on entry and shows more grain and baking spice in the mouth. The finish is more bitter. Evan Williams Bottled in Bond is: less floral on the nose and shows more brown sugar and baking spice in the mouth. The mouth is hotter on entry but softer on the finish. JW Dant is: much more butterscotch forward on the nose. It is sweeter and shows more butterscotch and baking spices in the mouth. The finish is longer with a lingering baking spice. Heaven Hill 6 year Bottled in Bond is: softer on the nose. It is sweeter on the mouth showing more baking spice. The finish is less hot and harsh. Henry McKenna 10 year Bottled in Bond is: fruitier with more oak on the nose. The mouth is sweeter, fruitier and shows more oak and baking spice. The finish is richer showing more oak and baking spice. JTS Brown is: more grain forward on the nose, shows more grain and ethanol on the mouth and has a finish that shows more bitter grain flavors. Evan Williams Bottled in Bond is: similar on the nose but shows less oak. The mouth isn’t as sweet and shows more grain and baking spices. The finish is shorter. JW Dant is: sweeter on the nose showing butterscotch and a touch of campfire smoke. It is less sweet on the mouth, even though Dant’s primary point of difference on flavor is more butterscotch. Dant has a softer, but more tannic finish. Heaven Hill 6 year Bottled in Bond is: less sweet on the nose. It shows more sweet grains and less oak on the mouth and has a softer and less oak forward finish. Old Fitzgerald Bottled in Bond is: less spicy and more sugar sweet on the nose. It is softer and more grain forward on the mouth. It is hotter and more grain forward on the finish. In case you missed it last time, the setup is like this: "If you've had Whiskey A then Whiskey B is..." hotter, spicier, sweeter, more floral, etc. Each section is written as compared to one of the whiskeys. So if you've had that one, but not the others then that section will be of the most use to you. Remember there are no value judgments here. You get to decide based on what you know of Whiskey A if Whiskey B sounds like something you'd want to try. Up tonight is the Ezra Brooks family. Ezra Brooks Black Label 90 proof, Old Ezra 7-year-old 101 proof, and Ezra B 12 year Single Barrel 99 proof. Mind you that with that last one, your mileage may vary since it is a sourced Single Barrel product. Old Ezra is: much darker in the glass and shows much less grain on the nose. It is thicker in the mouth and hotter. It has more pronounced fruitiness, baking spice and oak and a longer and warmer finish. Ezra B is: darker and richer in color. It is sweeter and fruitier on the nose with pear and maple showing instead of grain. The mouth is richer, sweeter and spicier with an oilier mouthfeel. The finish is longer, warmer and shows more mint and oak. Ezra Brooks Black Label is: lighter in color and more grain forward on the nose. It is thinner in the mouth with a more watery mouthfeel. By comparison, the mouth is delicate and grain forward. The finish is much shorter, more gentle, but also more bitter. Ezra B is: sweeter and fruitier on the nose. It is also sweeter and fruitier on the mouth with a creamier mouthfeel. The finishes are similar in heat and length but Ezra B is showing more baking spice. Ezra Brooks Black Label is: much lighter in color. The nose is more delicate and more grain forward. The mouth shows more grain and baking spice but is also more bitter. The finish is more gentle and much shorter. Old Ezra is: more tannic on the nose showing more black tea. It shows more oak in the mouth and is less sweet. The finish is similar in heat and length but shows more oak tannins.